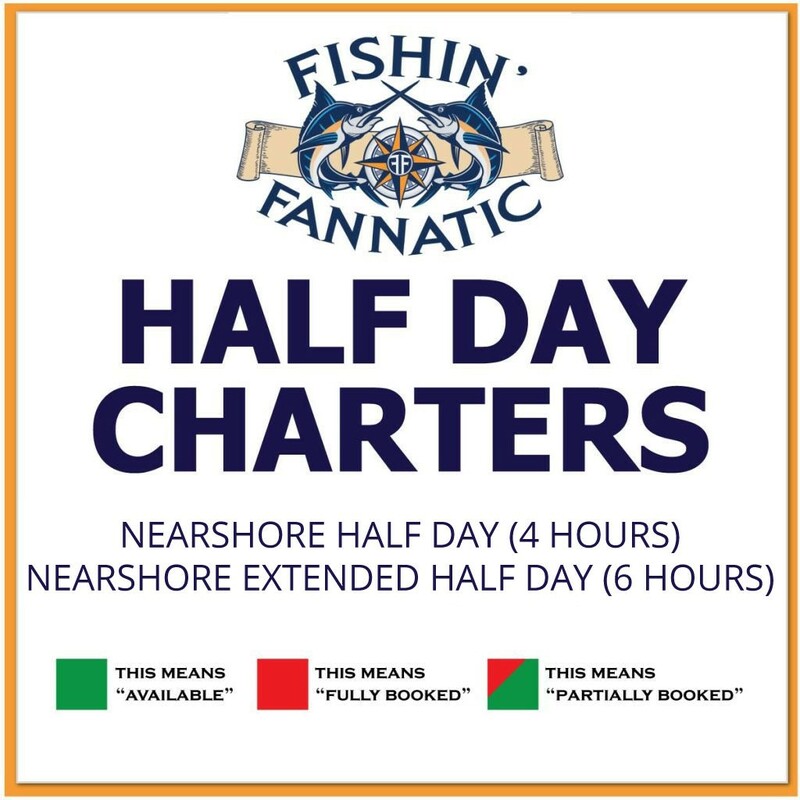 Join Fishin’ Fannatic on our 53′ Viking Sportfish for an exciting half day or extending half day of nearshore fishing! All bait, tackle, and licenses are provided. Up to 6 people can join in on the fun! Outer Bank catches can include cobia, Spanish mackerel, and bluefish.